Get an inside view into the work-life and passion of DJ Marcelle/Another Nice Mess. Always on the run to grab new records with inspiring music, to bring them every weekend to another country, another venue, another festival to make us dance and listen to some music we have maybe never heard of. This short film about DJ Marcelle/Another Nice Mess was filmed and edited by Ben Mergelsberg. We are pleased to announce a new DJ Marcelle/Another Nice Mess double LP out on October 31st 2014. This time DJ Marcelle/Another Nice Mess "meets most soulmates at Faust Studio Deejay Laboratory". And for the first time you can listen to her own tracks, solo and together with her soulmates. 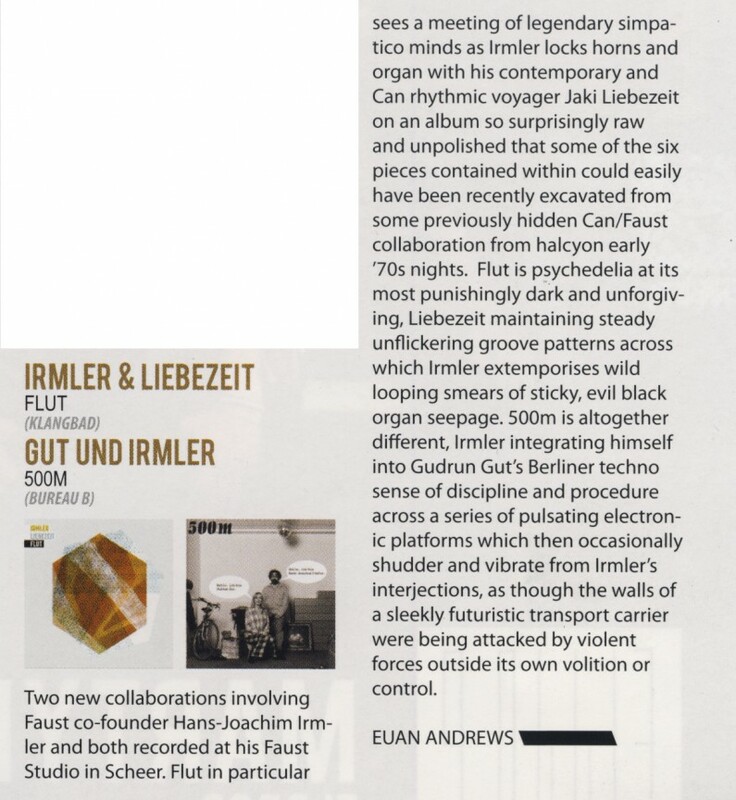 Upcoming monday, 11.08.2014, from 15-16h there is radio feature about "10 Jahre Fauststudio' on german radio broadcast SWR2. Don´t miss it. 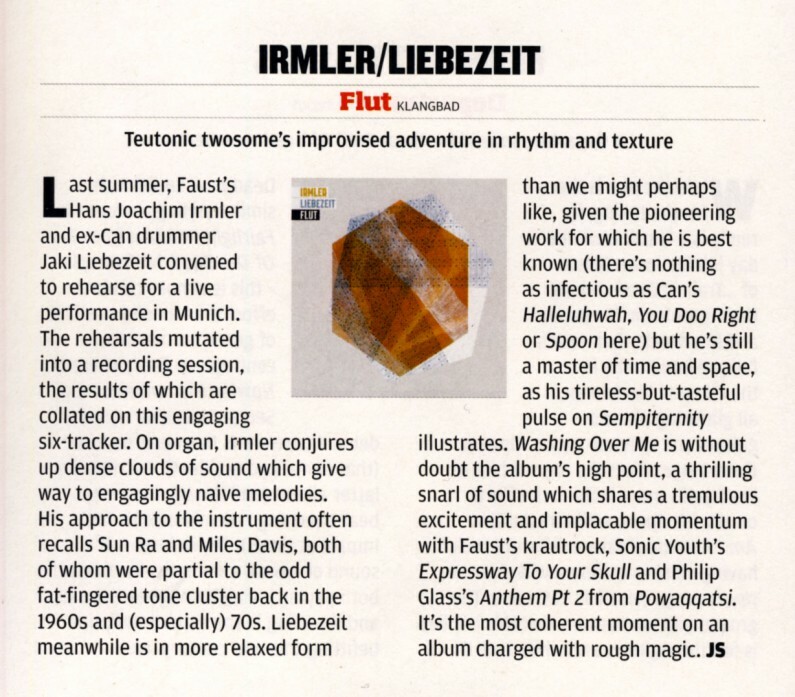 And the next big news: Today is the release date for Irmler+Liebezeit record called "FLUT". You can buy the CD directly in our brand new webshop. The silk-screen LP with poster and download coupon will be shipped at the end of July. Special this month: No shipping costs in Germany and only 4€ for international shipping. 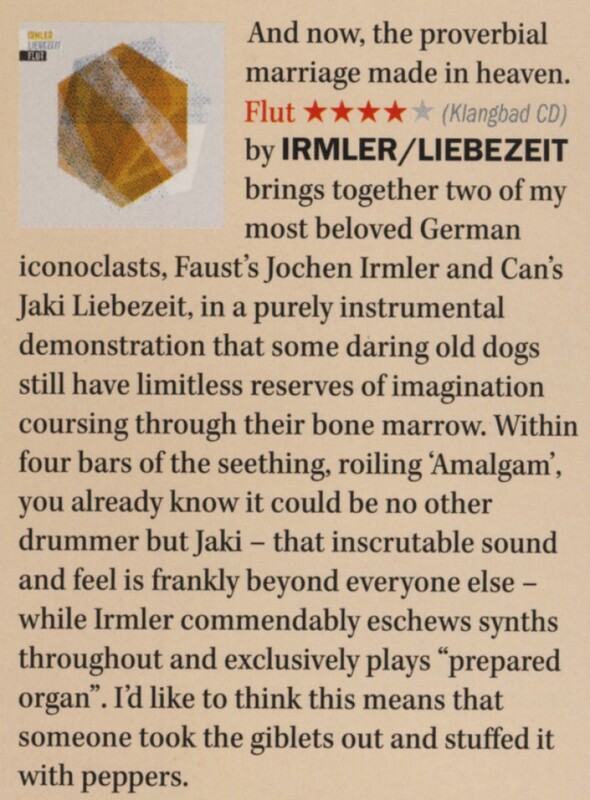 PLEASE NOTE: At the moment you can only buy the record "FLUT". In a few days all other items will be listed in the webshop and available for purchase. Here we are: New website, our new logo, our manifest and a first release, too. KLANGBAD 2014 are Ute-Marie Paul, Rebecca Harris, Olivier Kowald, Benny Straub. As you have noticed our new website is ready. It´s not 100% done yet, there are still some more features to come in the future, like f.e. a Klangbad radio, but we couldn´t wait to go online with it. Check it out, and if there are some bugs please tell us.